The Electrical Engineering Department was in need of a boost in funding by the late ‘40s, and although it arrived almost 20 years later than expected, the investment proved very profitable. By 1949 the Department had scarcely changed since 1911, and until third year there was little to distinguish the degree from Mechanical Engineering (it even included surveying and hydraulics). To further the Department’s exasperation, in 1951 funds meant for the Electrical Engineering Department were used to replace Wilson Hall (which had burnt down). The Department was a tiny department consisting of a professor, two part-time lecturers and a demonstrator, and being the runt of the litter, the Electronics Lab was moved three times before it found a permanent home in the mining-electronics building which opened in 1955. However this period was short-lived, and by the early '60s the department was set to skyrocket. 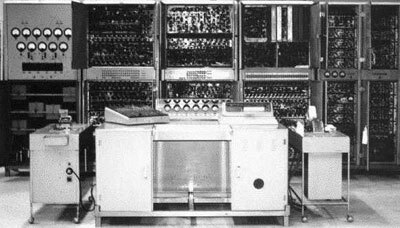 By the early ‘60s, the Electrical Engineering Department had acquired a MUDPAC, a Dual Package Analogue Computer, useful for designing control systems and modelling large scale dynamic systems. They also later had access to a CSIRAC, one of the world’s earliest digital computers. 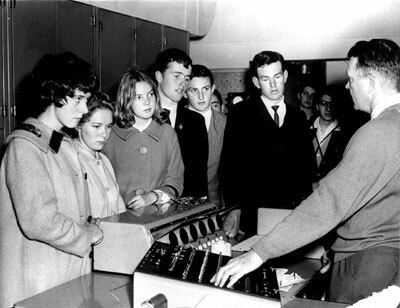 By the mid ‘60s, electronic engineering was attracting the bulk of students and was the major focus of research in the department. Postgraduate students had access to the University's IBM 7044 Mainframe digital system, and the terminal room at the computer centre became a forum for the exchange of ideas and lively discussions often extended well into the night. Very soon every engineering student would require a computer, and inventions such as CAD-CAM was about to make technical drawing a thing of the past. 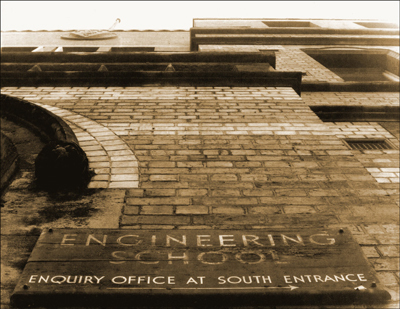 Chemical Engineering also began to be developed as a separate department by 1960, and by 1962 was moved into a new building on Grattan Street. However the Department only had access to poor laboratory facilities, and by 1965 a new building was being planned and soon to be developed. By 1967 core mechanical engineering study of Heat Engines was replaced by Applied Thermodynamics, and instead of focusing on the theory and descriptions of engines, attention now concentrated on thermodynamic principles, gases, fuel combustion and power cycles. A postgraduate course in Biological Engineering followed in 1968. By the mid ‘60s the faculty expanded to employ 17 women in a variety of administrative roles. Soon after, each department included as many general staff as technical staff. There was a growing body of literature expressing anxiety about the scale of development, the complexity of modern organisations and the negative consequences of the application of scientific and engineering thought and invention for the natural world. The ideal of “progress” lost its lustre, tarnished by pollution, environmental degradation, and the threat of mass redundancies as machines replaced human workers. Mechanical engineers received the bulk of the criticism (or more accurately, the output of mechanical engineers received the bulk of the criticism). It was very fitting then, that in 1966 large teams of students demonstrated a Road Safety Awareness Campaign by attacking two cars with sledgehammers. They were expected to do as much damage in 30 minutes as 7/10ths of a second at 40mph (60kmph) in a head-on collision.